Best amplifier for the KEF LS50 standmount? A hundred listeners might spill with a hundred different answers. Each would more than likely be the result of a brief trial and error dance with power shortfall, driver overdamping and tonal balance shifts, more often than not determined after money has been committed, before settling. We choose loudspeakers that best suit our tastes and room, then choose the best amplifier to power those loudspeakers. After that, it’s time to select a DAC and streamer. Talk about a back-to-front lottery. The amplifier’s output signal must pass through the passive loudspeaker’s (potentially) power-sapping filter crossover network of resistors, inductors and capacitors – so implemented to divvy up the signal between drivers and smooth any frequency response anomalies. With the loudspeaker unknown, the amplifier engineer must design his circuit to deal with the myriad impedance swing possibilities of thousands of transducers. In other words, the amplifier must accommodate numerous loudspeaker models and technologies, not just the LS50. Let’s flip this scenario on its head. What if we could have KEF design a dual-mono amplifier circuit specifically optimised for the LS50’s 5.25” Uni-Q driver array? What if that design gave us 200 watts of Class D power for the bass driver and 30 watts of Class/AB for the coaxially-aligned tweeter? What if a DSP module were used to implement the crossover network and correct for phase errors as well as tailor each amplifier precisely to the driver it powers? Let’s take our amplifier optioning further. What if each channel’s amplifier module sidestepped the usual external metal box to be fitted inside the speaker cabinet between the curved front baffle, the elliptical reflex port and the constrained layer damped panel bracing? What if this active loudspeaker looked (almost) identical to the original version? In the event that potential customers don’t clock the OLED touch display on the master loudspeaker, some fresh colour combinations might help separate this new active LS50 model from the passive version: Titanium Grey/Red; Gloss Black/Blue; Gloss White/Copper. That’ll do nicely. Why stop there? With D/A conversion sitting between DSP and amplifier module – two of each per speaker – the opportunity presents for inclusion of digital inputs: asynchronous USB and TOSLINK input. While we’re at it, let’s stir in a 2.4GHz/5GHz Ethernet- and Wifi-capable network streamer with DLNA networking. Some people still use turntables – we’d better add a pair of RCAs connectors to tap a phono pre-amplifier’s line-level output and digitise it. At the other end of the quality spectrum, let’s make it easy for the less tech-savvy: Bluetooth 4.0 with aptX good enough for ya? We’ll move each digital inputs’ data stream from master to slave loudspeaker in the digital domain using a Cat6 Ethernet connection. Users can upgrade the interconnecting wire at will. Many people like to add subwoofers to standmounts to ensure a full-frequency presentation. A subwoofer output should really be on our active speaker’s specifications sheet but there’s a wrinkle: we know from experience that subwoofer integration can be a royal pain in the rear. If we code an iOS/Android app to interface with the new speaker’s DSP module, the end user could set the subwoofer output signal’s crossover point, level and polarity. A high-pass filter would then be simultaneously applied to the LS50 Wireless themselves. With the DSP/EQ door now wide open we could add a bass extension slider for those without subwoofers. How about additional -3db and -6db bass presets to accommodate different desktop and stand positioning? After all, the loudspeaker’s protection circuit would stop it from self-destructing in the event of an slap-happy user. At the other end of the frequency spectrum, how about the ability to dial in +-2db of treble according to taste and/or the room’s acoustic makeup – wouldn’t that be a nice to have extra? These questions are rhetorical – every one of ’em. KEF will tomorrow announce a new active loudspeaker: the LS50 Wireless. It will have ALL of the above functionality (and possibly more). Did I mention the colour-matched remote control wand? Stateside pricing per pair will be US$2200* [see footnote 1]. Counting backwards, that’s less than a grand more than the passive LS50. Under a grand for a network streamer, DAC and bespoke amplifier. Think you could do better? Doubtful. Two boxes, two power cables, and that’s all she wrote. No loudspeaker cables, no multi-box stacks and no expensive hi-fi rack to house ‘em. This is Future-Fi writ large in neon letters. If the LS50 Wireless doesn’t help to advance the reputation of active loudspeakers in the audiophile world then it’s likely that nothing will. Audiophile note: KEF claim to have voiced this new model in the spirit of their Reference One. For everyone else, it’s a high-end hifi system in a box – simple to setup and extensively optioned. [Footnote 1] Pricing in other territories are TBC. Pre-orders are being taken from Friday 14th October via participating dealers with shipping expected to commence in early December. Someone tell Santa. I am interested. The LS-50s are apparently legendary for the kind of listening that I do. I am a fan of active speakers, though, and so these new versions are interesting! I noticed in the video that there are connections on the back: RCA, etc.? I gathered from your story that there is a sub out? I recently purchased an SVS sealed sub that I will want to continue to use. The internal DACs, I assume, will work with USB, etc., digital connections. Is it possible to hook up via RCA or mini jack with an external DAC? If the internal DAC yields the best sound I would go with digital conections. These are wireless, but wired sounds better and I will use them that way. I am happy with my current speakers, but I have purchased a lot of music in the last two years that I am looking forward to hearing through better speakers. I have a library of high resolution, CD rips and downloads — do the LS50s play nice with mp3 320 and Apple AAC 256? These will probably be the speakers I will buy and keep for a long time, and so spending more now with that plan in mind doesn’t seem to be too much of a extravagence. It will be interesting to see the price. Any word about when and where these will be available for purchase? I know that it is to early to answer all of these questions, but any additional information will be greatly appreciated. The video was removed after KEF realised they’d sent me the wrong one. :/ And yes, this is all the info I have right now. Per the article, this new model will be available from December 2016. The best news? Other brands will follow. With a USB cable running to one speaker, how does the other speaker connect? I would like to connect with all cables if possible instead of using any wireless. The two speakers are connected via Cat6 cable. Lovely speakers, no doubt, but am I the only one who thinks this isn’t all that wireless. You need power cables and a CAT6, bare minimum. I believe the term “Bitchin’!” would be appropriate here. When are you getting a pair for review? As of right now, I’ll be getting an early sample to play with end of Nov with a review slated to run in time for Christmas. Are your passive LS50s making the trip to Berlin for comparison? Clearly no other amp will match the feature set for near the price of the new all in one solution but still curious to know how they’ll stack up against passive LS50s. 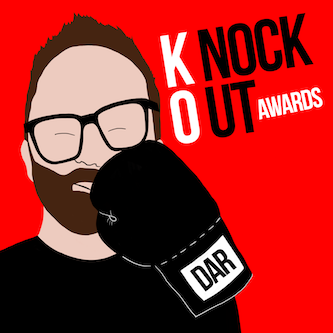 I’m predicting a Darko Knockout Award for the new actives. Any chance you’ll be reviewing the new 2-channel Schiit gear down the line? Would love to hear how it does with passive LS50s, and could make a fun comparison to the new actives! Glass 1/10th empty? 😉 Just add ATV3 to top it up again. This is one of the most beautiful thing I’ve ever seen. I want to cry now. I’m so happy with these! I too am crying. I wish they were out now though. Does the active ls50 sport one sub out per channel (left and right)? This is fantastic news. You did it John. Thank you. WOW, that is a game-breaker! This is a slice of true high end sound that anyone (not just audiophiles) could have with one click. I have been waiting for something that I could just recommend to my friends without all the if this, but this, you also want that. Looking forward your review, but given the starting base and feature list… the writing is on the wall! Any money he knew… 🙂 Glad to see KEF keeping things competitive. Wow, that is a very intriguing proposition. I wonder why they didn’t go Class D for all amplification? Probably no native DSD capability. To me, DSD done well , has better time domain accuracy, less time smearing than any PCM I’ve heard. I don’t doubt that some hear DSD’s audible superiority but with a library the size of a pin head, DSD playback probably (and understandably) sits lower on KEF’s priority list for a product such as this. In a similar vein, how much MQA content do you have access to right now? Perhaps Larry B. can use the rca’s in for dsd? Not sure. I’ve said this before. Having downloads and DACs vs. when we used disc players allows for diversity. FPGA chips and DSP allows flexibility and upgradability. I have a couple hundred SACDs some of which I’ve ripped to DSF files etc. The problem with MQA is it’s and end-to-end technology. So unless there’s an analog volume control, the MQA process becomes corrupted. Corsair, I think the same occurs with DSD. I don’t believe it can be attenuated using DSP without converting to PCM. Thus it would no longer be native DSD. On another site which, I won’t mention the name of, talks about MQA like it’s definitely coming. They say Warner’s entire catalog has been converted to MQA. Sony and Universal catalogs will be completed by next spring. You must be at the same shows and seminars as everyone else, right? Right. My MQA coverage is still to come. Class D is a little dry sounding in the highs. Same reason as there are no class D headphone amps. Very nice! I love these compact high end systems and currently own it’s cheaper brother, the KEF X300A Wireless + subwoofer output mod + subwoofer (SVS sealed 12″) + Dirac Live room and speaker correction software. No need to upgrade for me but if you have the budget I can understand it. Looks like they listened to their customers. Pretty cool; bummer can’t serve as a Roon endpoint. Hopefully the Active LS50’s work with the Sonore MicroRendu. That’s what *I’m* hanging to find out. Wow! Had to check and make sure it isn’t April 1st. How happy are you? An absolutely killer product. This along with products like the Auralic Polaris streaming integrated/DAC are where we are headed. Expect to see more and better offerings pouring out from the manufacturers who have the resources to develop not just products, but the apps to support them. The shrines to audiophilia, and the folks who worship at them have already begun to wane. Not that there is anything wrong with that, it’s just not as desireable any longer to have a room full of gear, and a nest of cables. I hear it every year at the shows, “business is way down”. Heck this year even the used market is taking a hit. I suspect products like this are why. At $2200 USD it is an impressive pricing. Guessing this will be a superhit like the passive companions. Well done KEF. Wondering how this compares with X300A ? Any idea Darko? Having not heard this new model I’ve no idea how the two compare yet. Hey John, you must have magic in your arm-twisting capabilities as you have made your entreaties to KEF for such a system public for quite a while. This active approach will no doubt extend the bottom end of these babies. The roll off of the passive model starting at 79 Hz has caused me some concern, as well as their pickiness about amplification. Now I just have to figure out what I can sell to sit a pair of these honeys on my desk. Fridge, TV, dog, couch — nothing’s off the table. Any info available on the frequency response of these? All the info I have right now is right here. Ah, the power of imagination to create an Active realization.The power of persuasion that may have helped motivate that realization.The power of active power to cut down on bulkier, superfluous powers. And not to be overLooked, the aesthetic color palette power of powder white with gold. It’s no surprise many’ll find it difficult to fight the powers that be. Is “(almost) identical” also mean that they are different dimensions? They look deeper in the photos than the passive Ls50s. This would make sense given the extra goodies inside but I didn’t see that mentioned in the article. I guess ELAC needs to get cracking on those active UB5’s. These beg for comparison with Dynaudio Xeo 4. It sounds as if KEF have learned from the most missed feature from the X300 series in allowing for subwoofer connectivity, but I’ll be most interested to know whether and to what extent these new active LS-50s may posses potential for future firmware upgrades. I really wish it was out now! I’m glad they learned from the X300a that the market wants a sub out option. If a small company like Vanatoo or Kanto can do it, I believe KEF should have been doing it. Heck the KEF Egg did. I can’t wait for these now. It’s a headache researching what amp pairs best with the LS-50. Any word if KEF will make their amplification available to owners of the passive ls50? Are Kef the only ones to offer such a product? Doesn’t Dynaudio have similar offerings? I am pretty sure the Xeo 2 requires NO hub. I reviewed em earlier this year. I’ve been active for decades, Meridian, ATC and KEF x300s. Glad to see more mainstream mfgers jump on board w more offerings. Any news if these are on show at the London Indulgence show this weekend? Ummm…. wow….. the list of upgrades to the classic LS50’s is incredible. Shame about the cat 6 interconnect. Hopefully it’s only for high res like dynaudio focus. For broader context, I believe the UK price is 2000 quid. What would you have KEF use instead of cat6? Like the name suggests…. Wireless….. Per Stereophile, there are several hiccups with the US$7000 Focus XD active speakers. Higher-end actives like Kii Three and Dutch & Dutch 8C also use ethernet for connecting the two speakers. I think RJ45 is fine for connecting the speakers. Don’t people claim that cat7 sounds somewhat better compared to cat6. Not sure about that though. Especially for longer distances (3+ meters) I would prefer RJ45 to usb or coaxial. Now I can sell my X300A and Maverick Audio D1 for a pair of wireless LS50. Or a piece of Phantom Silver?? My LS50 system is the following, Sonare MR, Benchmark DAC2 HGC, Parasound A23 amp (soon to be replaced by the Benchmark AHB2 amp). It will be interesting to see if the Active version can best such a system. I just bought the KEF X300A from amazon ($599) last week and I love it on my desktop. I had an 80 hour work week last week and the KEF X300A’s helped make painful task possible. I would not like the X300A on stands because of esthetic reasons. I would have multiple wires connected to the left speaker and they would look messy. My LS50, in another room, is slightly messy looking with just one speaker wire (Audience lower end model) going to it. The debate for me is whether to get the new active LS50 for my desktop. My passive LS50 on the desktop (in yet another smaller room) was a little bit too much a speaker. The X300A being smaller (and maybe having a desktop setting) maybe better on the desk. How about giving your impressions (when you review) of the speaker on a large office desk. 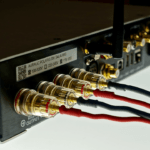 Manoj – what’s the sum total cost of your passive LS50 system? The new Active KEF will be $2200 and I do not think it needs or works with a rendu. This WAS my office system until I realized my BIG system will take more time to buy. So now it is my big system until space and funds prove otherwise. I have a feeling that my system will sound a little better than the ACTIVE LS50 because the Benchmark + Parasound stuff is already so awesome with the KEF’s. The only DAC I have liked better is the MIRRUS. Their amp is supposed to be even better than the DAC so an all integrated Benchmark system is what I am going to get for my short-term “Big” system. I bought the used Parasound amp for the KEF’s because KEF was demoing the LS50’s with this amp at shows in the USA. I did some research today on the KEF site and they have a DESKTOP option for the ACTIVE LS50 so I am now likely going to buy this speaker and put it on my desk. I am assuming it will sound better on the desk than the passive version. I will give my X300A to family. I do see the tremendous value proposition for the ACTIVE LS50’s. In fact, I have already emailed a few friends that are interested in some speakers but do not want to “foolishly” spend the amount of funds I seem to have no problem spending on audio. My statement that the ACTIVE LS50 not looking too aesthetically pleasing on stands is something to consider for non-desktop usage (because of all the wires for digital and analog connectivity). Sorry, my mistake: what’s the *retail* pricing on your system? I think that gives a truer contrast to the new KEFs. And a pair of KEF LS50 Wireless plus microRendu (a combo that I’ll be running VERY soon) comes in just shy of US$3K. That’s what I call *keen*. As far as I can tell, the LS50 doesn’t support either AirPlay or being a Roon endpoint, which would seem to mean I can’t stream directly to the speakers with those sources. Is that correct? If so, it seems my only choice is to use my current Wyred4Sound mPRE as a DAC / analog pre and to send it all via analog RCA (ick…couldn’t KEF at least include XLR?). Or to find an ADC/DAC/PRE that can do digital to digital streaming as well as ADC streaming….is there such a device? Get an ATV3 and hook it up via TOSLINK for an Airplay Roon Endpoint? Yeah, using an ATV3 over TOSLINK (with Remedy re-clocker) is what I do now. But that still doesn’t let me go 100% wireless. And it leaves the turntable completely out of the equation. Also, if using the LS50 active for volume control, does it upsample to avoid signfiicant bit-depth at lower volumes? What about a raspberry pi using toslink? Maybe the sonicorbiter? Could be better than the ATV3? Does Raspberry Pi support Airplay now? I heard these today at audio London, wow they are definitely a game changer. Big sound from such a small box. I looked at them from the front thinking ls50 then looked at the back thinking what the hell are these as I hadn’t heard about them before. I want some and so will you when you hear them. They honestly didn’t sound that far off the KEF blades as they have the uniq driver. I need them. I love them. Thanks for this John – an excellent piece, and I’m thrilled to see that folks are exploring the ‘pro’ active monitors from Genelec, Focal and others in addition to this ‘eureka moment’ in more traditional hifi designs. Most of us could see where Meridian and Linn were going but holy crap, those prices just make my head spin. To spend time in a Naim or Linn forum is to come away convinced that you cant have good sound for anything less than 50K USD, and that figure is probably closer to 100K. Madness. Personally, the room will remain my biggest enemy with speakers – I’m sticking with headphones until the DSP on entry-level speakers is good enough to solve that showstopper. I realise that speakers can do some things headphones cant (or cant do terribly well), but put each of us in a dark room with the active LS50s and Focal’s ~1K Elear ‘phones — identical electronics feeding them – and it would be very interesting indeed. I admit that I have bought a lot of Tyll’s recommendations over the years, and I’m taking him at his word – I’d be interested to hear your impressions. Should be a killer system with the forthcoming Nativ Vita. The Nativ runs room and streams wireless to the kef. Any word on a subwoofer? Heard these at the London Indulgence show yesterday and they are good I need to listen to them at my local store first to some of my own music to decided if they are very good. My only initial concern was a lack of low bass compared to what the small Meridian stand mounts deliver. Way to go KEF. These are very intriguing. The addition of subwoofer and DSP ability is a killer feature for appealing to those who want higher end systems, IMO. I’ll bet a pair of these integrated well with sub(s) would seriously challenge some much more expensive full range speakers and systems, and still not break the $4500 – $7000 (US) for a full system, with pretty high end subs (depending on if you add one or two subs). And with somwhat less expensive subs, the price for a full range setup would be even less. Just heard those babies at the annual Brussels Audio show over weekend. Very impressive! They were played along Muons and Blades in a large room. LS50 Wireless had such dynamic and bass to fill this room that people needed to ask which speaker was playing. Unless someone wants to get the last ounce of audio goodness, LS50 Wireless presents such a bargain! How would i connect a sonos connect to this? Doesn’t seem to have a coaxial input…..
Would love to see Iron Man red + gold as an option. I see. Although I am a bit confused now which one shall I choose. The blue black gloss is good but once again it’s black gloss which requires more care. Mmmmm…..wonder how they will compare to the passive LS50 (adding DAC and AMP etc.)????!! Do some local geography around Maidstone, Kent – England. KEF primarily make speakers while Chord produce DACS and amps…. In addition to ATV3, another AirPlay option could be Airport Express which provides TOSLINK or RCA output for iTunes playback. Too bad there are only extreme colour options. Adding a matte black cabinet finish with aluminium grey drivers would certainly double the sales. They should at least add the grey/copper colour option from the passive ls50. Agreed. Lousy color choices. The British have a way of clashing with fashionable trends. How about Crayola Colors or Hello Kitty theme? I think the white set look pretty darn neat. But I agree regards some of the other colours. Matt black and gunmetal may have been avoided for fear of confusion with the cheaper X300a. ..can I connect my Questyle QP1R DAP to active LS50, bypassing KEF DAC and use super versatile QP1R to play all my files from PCM through DSD files? If it works, affordable setup for the budgeteer and/or downsizer like me (bye bye Devialet, expensive cables, power conditioner, upper four figure speakers) and hello small footprint, decent sound quality for right around three large. Hey Geoff – you cannot bypass the DACs inside each of the KEFs. Running into the analog input would probably be the worst way to play back DSD. May be better off doing a DSD to PCM software conversion and running into the digital input. Though either way would be a compromise. I wonder how these compare to the Devialet Phantoms – granted the Phantoms are about double the price for a pair. From a specification point of view, Phantoms do go substantially lower and play louder. This is an exciting release, but I’m really scratching my head at the lack of AirPlay, which was included on the X300AW. I see RoonReady as directed at a more niche audience and can understand the decision to leave that out, but having no access to AirPlay is going to cost them the wirecutters among us who want lossless audio without the need for another box. People spending $2200 on a pair of speakers are sufficiently entrenched within audiophile norms to insist on lossless. To dedicate so much R&D to simplification and miniaturization and then leave out this standard feature is bizarre to me. An earnest question: What’s the point of wifi capability without AirPlay or Roon? Presuming that they won’t be releasing their own playback app (please don’t…), what do we stream from? Yesterday I added a microRendu to my non-wireless KEF X300A via a TP-LINK powerline adapter (Ethernet via house electrical wring). It is working perfectly. I expect the Active LS50 to work with the rendu the same way as the X300A. So that is a way for the audiophiles to get lossless to the LS50’s. The SonicOrbiter should also work the same way and is 1/2 the price of the mircoRendu. My server is in a far way room. I have ROON running on it but you could use many music server software. I control everything wirelessly via a tablet or smartphone using the ROON app. I misspoke when I said you can use any server software in my situation. I am in fact relying on the microRendu being able to interface with ROON. I am not sure if this would be the case for all server software. I understand that you can use a mircoRendu, Aries Mini, etc, to enable lossless over AirPlay, Lightning DS, or Roon, but this defeats the purpose of built-in wireless capability. So they are indeed developing a proprietary app, and it doesn’t yet include direct access to lossless cloud streaming services. This still looks like a great product, but I’m baffled at the decision not to build in AirPlay. The software is always a much more difficult endeavor than the hardware. It looks like KEF will get to Lossless soon enough. I was a little disappointed at this at first but the fact that I have figured out a very reliable and easy to use workaround for my situation makes me want to get the Active LS50. I want to replace the X300A in the bedroom with the Active LS50. I will also be buying a SonicOrbiter instead of the microRendu (use that in the office). That is an additional $300 because KEF does not do Lossless natively. I was listening to the newly purchased X300A for a few weeks on IsoAccustic desktop stands. I am a software developer and I work from home so I was doing 10-18 hours per day (for deadline) of listening. I liked the speaker a lot since it was replacing an AudioEngine 2 speaker. However, I needed to get some speakers into the bedroom because my newborn loves music. So the X300A went into that room and a passive LS50 went back into my office. I was shocked at how much better the LS50 was on IsoAccustic desktop stands. Next month I am going to get the Benchmark AHB2 amp to replace my very good Parasound A23 LS50 amp for the office system. I would bet that my office LS50 will smoke the Active LS50. I will also buy the ACTIVE LS50 because it fits the needs of the bedroom (less clutter). My inclination now is that the DAC and the amp in the ACTIVE LS50 won’t be as good as the separates I have. Just a guess based on my ACTIVE X300A experience. The LS50 Wireless System works over WiFi using the DLNA protocol. DLNA is an open source protocol and is also supported by our LS50 App for the Iphone and Android devices. Using a computer for example, JRiver software can interface with the LS50 Wireless via DLNA. There is other software that use the DLNA protocol but we have not tested them at this time and cannot confirm if they will work with the LS50 Wireless System. Any more news on the LS50 wireless, still no uk release date. And no actual sound reviews. There are plans for a pair to come my way ‘soon’…beyond that though, I know not. Im using a 2013 MacBook pro and outputting to a Micromega MyDac and then going to some Audioengine speakers. My MacBook pro has no Toslink connector. Will I be able to run thru the MyDac to the LS50 Wireless and use their built in Dacs or??? The headphone jack is also an optical out. Nice to see they’re finally catching up to what Sonos has been doing for years. Although Sonos does have TruePlay room correction, which KEF doesn’t list, or maybe I’ve missed it. Probably sound nicer than a pair of Play:5s, although those are well reviewed. I imagine we will be seeing many others getting onboard (as Kii has been for some time, as well). Did you get your review set yet? Yes – arrived end of last week. I ask because i also had a pair at home last week and I am curious to hear your opinion. Super to hear it arrived. I thin many readers would be very interested to see how these compare with the Devialet Phantoms. I heard the Phantoms (2 of them in stereo) last week at a hi-end audio store. It was detailed and sounded fairly good. However, the bass was too much and gave me a headache. This was with just bass shy music. I did also hear the Devialet amps at the store with low-end Maggies and I loved it. When I buy the KEF Blade speakers I have decided that I will be using the Devialet integrated amps with them. I have a passive LS50 and I preferred them to the sound of the Phantom. cant wait to hear your review on these, wondering weather to pre order them…will wait for your verdict. I’ve just ordered mine. I’m told the 1st blue/black versions have already arrived in the UK but the red titanium versions (which I ordered) will come early January. There are already a few examples of first listen style reviews on Japanese and Chinese sites. I assume we’re waiting for some break in time before any early impressions surface on here. Any ETA on when that might be? Well, I have called it a day after playing with the LS50 for most of the day. Tried all the inputs, but failed to get the wireless working, this is almost certainly down to me. On first listening, they did not have as much impact as I was hoping, so I moved them into a bigger room and then they really started to show off. Good sense of scale, nice stereo image fine details and I noticed the vocals where never drowned out and always well balanced and the sound filled the room easily. Tried some Flac and hi res files and then I realised they must have been good, because I found my self tapping along to Paul Young’s , “wherever I lay my hat”, which would never happen normally. I have a sub but I think I might flog it, coz In my room it may cause my neighbours to hate me. I think for larger rooms the sub out could be a good idea. I bought these speakers mainly because I have little knowledge of putting together a stereo and just wanted something that was easy to use and set up. This does the job nicely. They look cool to! I am sure I will get the wireless to work, when I explore the app tomorrow. I ordered these in October…Yep you heard me. And I started to think I had made a mistake. However, with much listening I have been won over and will not be sending for a returns slip. For a lazy individuals like myself who need everything packed together in one speaker and don’t have the time or energy to source speakers and a sympathetic amp, dac etc., this system is perfect. Just the job me! I have these speakers for about 5 days now and these are my findings. – The included setup guide is very basic. – I also had problems getting the wireless working. After some trials, i got it working. – Streaming from my NAS (DLNA) with the wireless results in hickups at the start of every song. So wireless streaming is not a solution in my case. A Naim streamer at the same location of the master LS50 never had any problems with wireless streaming. – Connecting the LS50 with the fixed network connection seems to work. No more hickups. But there is no feedback anywhere that the fixed network connection is used iso the wireless. – Streaming from a NAS does not support gapless playback. I find this very annoying. – I have not yet been able to play a complete CD from my NAS without problems. Very frequently the music stops after a song and fails to play the next songs. It ‘hangs’ in a state where it tries to play the next song indefinitely. This is the case with the LS50 android app and with BubbleUPnP. Restarting the speakers solves the problem. – Android app still has several bugs. – What is the function of the small balance button on the slave speaker? – Sound is very good for the price. But speakers still need to play some some more before i can give a better opinion on sound quality. I agree – you need a robust wifi network for streaming lossless to these speakers but I had zero issues in “onboarding” them. BTW – which UPnP server app do you use, Erwin? I use the default app (mediaserver?) on my Synology NAS. Did not try MinimServer yet. Can you play gapless from a NAS? So using MinimServer will also not help. Ah, interesting. I’d figured it was mainly the Renderer at work but only if it seems one track then the next then the next, rather than a single bitstream (in other words, a single mega-long track). I’ve not tried gapless yet. Gimme a coupla days to investigate. I just got feedback from KEF on this. Gapless playback is not supported. It is not clear if it will be supported in the future. Useful intel – thanks Erwin. My wireless router is a Netgear Nighthawk R7000. Yes, you can, with the caveat that the incoming signal will be immediately digitised by the LS50 Wireless before the left channel’s data is handed off to the left speaker and the two (left and right) are decoded simultaneously. How that influences the streamer’s output remains to be see. My experience with A/D converters is that they are generally highly transparent and rarely impart much flavour on the incoming signal. Perhaps a light dusting but that’s about it. Perhaps it is better to use the optical input for that. Also got a reply from KEF on the small analog (?) button on the back of the slave speaker. This is indeed a real balance button. I am surprised to see an analog balance button in a fully digital system with DSP. I would expect this to be done with the speaker settings screen from the LS50 wireless Android app or with the remote control. Got information from KEF on how to change the auto-off setting and info on the fixed network/wireless connection. Push and hold the desk/standby button on the back for 5 seconds changes the auto-off setting to 60 minutes. Push and hold the wall/free space button for 5 seconds changes this setting to the default 20 minutes. Fixed network connection has priority over wireless. Does gapless playback work with a wired connection? I ordered a pair of the gray and red, with shipping estimated in mid January. I’m not sure but I’m not hopeful. This sounds like a DLNA/UPnP issue, not that of network connectivity. Gapless does not work with a wired network connection. I have retrieved mine today. Dunno what they put inside..
It’s the new holy grail..
Wow. Without gapless, these seem like otherwise awesome speakers let down in a big way by a missing must have feature. I am going to remove gapless on my handheld device temporarily to find out whether this is something I can go without. If not, I will cancel my order. I am surprised that these will not play gapless with a wired connection. The quality of the sound is probably excellent, but….Hmmmm…..
Maybe a future version will have gapless? Gapless playback has nothing to do with wired or wireless connection in my opinion. I am wondering if the fact that it is not possible to skip to the next song with the supplied remote is the result of this lack of gapless playback. According to the feedback from KEF i had the impression that gapless playback will not be supported anytime soon. Yup – gapless playback – or lack thereof – here is down the way UPnP streams content over the network. It’s the same over Ethernet as it is over wifi. You’d hope, unless this is something that Kef have not considered (which seems hard to believe), that this could be solved with a software or hardware update. I meant “firmware” not “hardware”, sorry. I had a system supporting gapless playback. Using non gapless is annoying for live and classical CDs. For other CDs i detect longer pauzes between the songs. 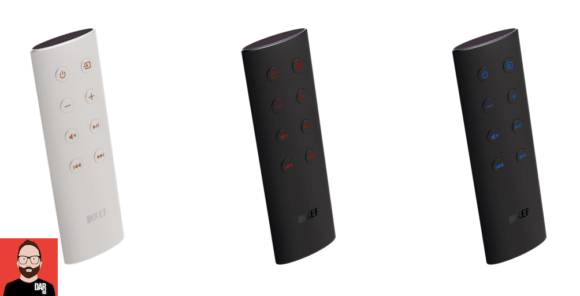 I am considering using an external streamer with gapless support in combination with the LS50 wireless. That’s what I’m doing: Sonore microRendu and/or AURAliC Aries Mini. Do you connect via the optical input on the LS50? What is your experience with the optical input on the LS50? Is it good enough for high quality sources? The reason i ask is because S/PDIF via optical is not the best solution. I was also looking forward to an active version of the LS50 since your article. Gapless is in my opinion a must have these days. I currently own the Hegel H360 (with Kef R700 speakers) and it supports gapless playback. But after a couple of months of wired streaming (in the beginning with loads of issues which I could resolve), I found out that the quality wasn’t on par with the playback of cd’s and hi-res files (burned on dvd-audio or with USB stick from Univeral Disc Player). This week with the holidays I gave my Bluesound Vault 2 a second chance. I was planning to sell the device with the holidays and was checking if everything still worked fine. I had connected the Vault 2 with coax-cable to the Hegel in the past, but now I tried the toslink (max. 96kHz-24bit) and was very satisfied with the sound! So I kept the device and am streaming now from the Bluesound Vault 2 to the Hegel. All my hi-res-files are on the 2TB harddisk of the Vault. So I was asking myself … If i playback from the “Vault”, is the music directly played from the harddisk or does it works like the typical NAS-drive over ethernet? I have now the opinion that it sounds better than playback over Bubble UPNP/Minim from my Qnap Nas. 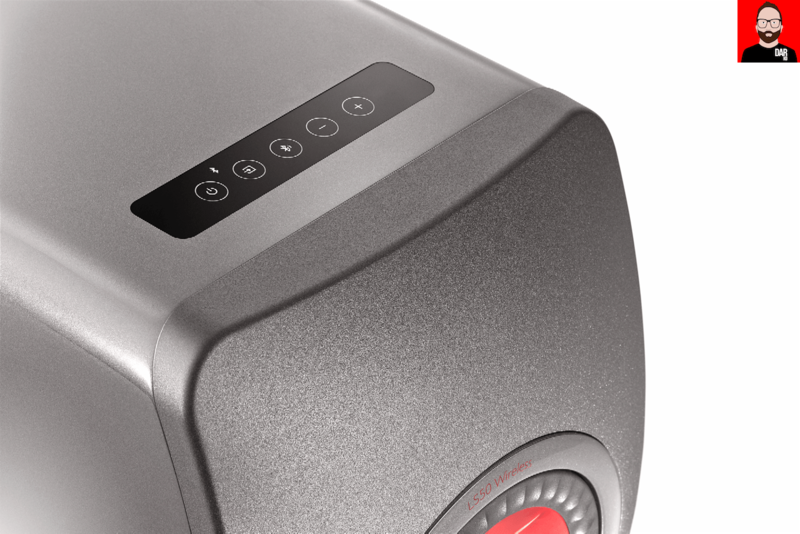 No dropouts at all with the Bluesound. Would the Auralic Aries Mini with 2TB be a better sounding option (toslink out to Hegel DAC)? I read the Aries Mini is more tweakable … The Sbooster Linear Power supply would be excellent, while you can’t update the power supply of the Bluesound. The Bluesound also has a classic harddisk I suppose in stead of the SSD option? Will the Auralic sound better with my Hegel/Kef combination, and in the future with the KEF LS50 active speakers? Or should I keep my Bluesound for now? Love the one that you’re with, Tim. Keep the Bluesound. But my main question with the Bluesound is… If I play albums from the internal NAS harddisk. Is the music directly playing from the harddisk? Or does it play over the wired ethernet-connection (because it’s a NAS-drive)? Recently the Hegel-guys also seem to have said that for serious audiophile listening you’ll still need oldschool sources, and that streaming is more for casual/background listening… after various people complained about dropouts and other network-related problems with some Hegel-devices. Where is your nas in your home? And where is your Bluesound? 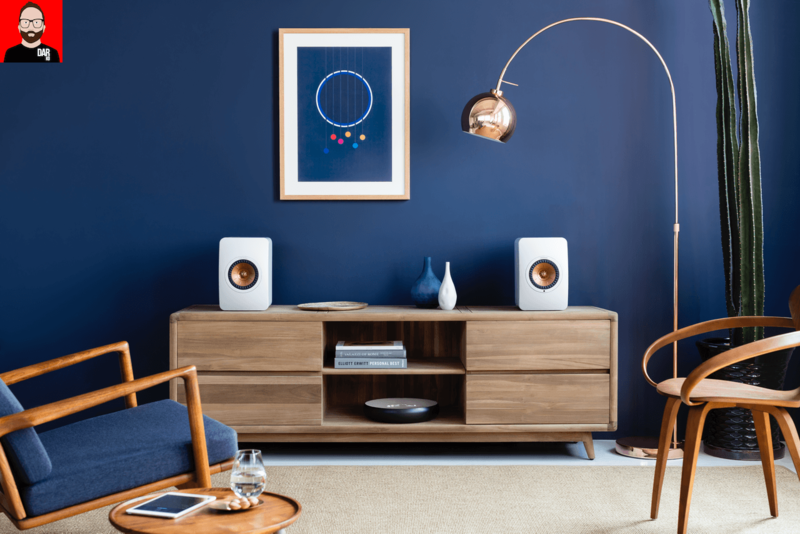 If they aren’t physically and directly connected, music must be moving from the nas’ hard drive to the Bluesound over the network. I see zero issue with this. Ignore those who tell you that streaming is for background listening and trust your ears. 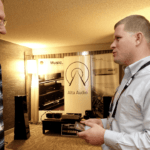 I’m talking about the build-in NAS from the Bluesound Vault. I’m asking myself if it’s directly playing from the harddisk, or if it’s playing over the internet because it’s in fact a built-in NAS-drive. I think “playing directly” must be better? My real QNAP NAS-drive is in another room at the other side of the house. John, since i have to decide on keeping/returning my LS50W speakers tomorrow, i would appreciate your comments on the audio performance of the LS50W in combination with a good external streamer. I am not able to test that before tomorrow. I get great results with the microRendu playing endpoint to Roon. 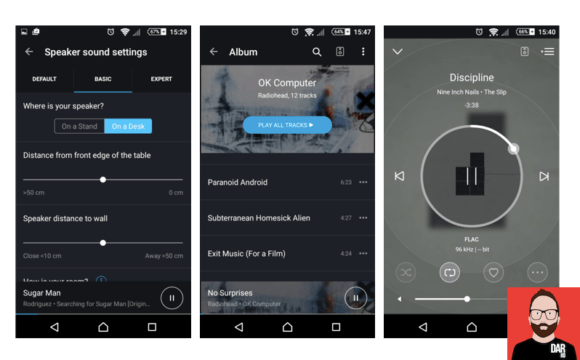 No gaps, Tidal and a lovely interface. I’ll be writing more about the LS50 Wirelless in due course but today is 26th December, still Christmas and therefore still a time for friends/family to take precedence over audio – so I trust you’ll excuse my brevity.